Is Alcohol Addictive? How Addictive is Alcohol? Over 17 million adults in the US qualified as having an alcohol use disorder (AUD). 1 in 10 children lived with an alcoholic parent. However, not everyone who consumes alcohol is classified as having alcohol use disorder; being able to discern this fine line between use, misuse or abuse is quite difficult, and often leads an alcoholic to believe he/she does not have a drinking problem when, in fact, the opposite is true. Approximately 87% of adults reporting the consumption of alcohol at some point in their lives. 56% of these adults report drinking in the last month (NIH). Alcohol consumption can elicit a subjective warm and tingly sensation, and further make the user feel confident - in a state of mild euphoria and decreased inhibitions. The majority of those who struggle with alcohol abuse continue to drink despite the consequences in an attempt to continue to achieve these feelings, which are caused at the cellular level by increased gamma-Aminobutyric acid (or GABA) activity. GABA is a neurotransmitter with an overall inhibitory effect on the nervous system (acting as a central nervous system depressant). Drinking more or for longer periods of time than originally intended. Past attempts to stop drinking on more than one occasion without success. Spending copious amounts of time drinking alcohol or obtaining alcohol. Withdrawal symptoms upon stopping alcohol consumption. Drinking increasingly more alcohol to achieve to same effects. Drinking interferes with family life, work, school, and other relationships. Sacrificing other enjoyable activities to drink alcohol. Continuing to drink despite feeling guilty or sick after drinking. Physiological dependence is present when the user experiences withdrawal symptoms upon stopping alcohol consumption. Psychological dependence is a bit more subjective and varies between users. Typically, a user is psychologically dependent when he/she cannot normally function without consuming alcohol, or he/she must use alcohol to dull emotional pains in order to feel "normal". There are a few things you must think about to determine if you are in fact addicted to alcohol. If you find yourself choosing alcohol over spending time with friends or family, then you may want to think about seeking help for your drinking problem. You may also find that when you are at a party, you try to limit your drinking in front of others but consume copious amounts of alcohol as soon as you are alone; this could be a sign that you feel guilty about your alcohol use, and may signal trouble. Having an addiction is nothing to feel ashamed about. Remember, addiction is a clinically recognized disease, not some figment of the imagination or a self-inflicted mental health problem, as some believed it was in the early 1900s. There is help available to you, and professionals that can support your journey to sobriety every step of the way. Don't wait to help yourself or a loved one. Call 1-888-993-3112Who Answers? to find treatment for yourself or someone you care about. Being supportive is one of the most important aspects of attempting to get a friend or family member the addiction help they need. It's also very important to educate yourself about the effects of alcohol addiction, to offer an informed perspective to your loved one when approaching him to discuss treatment. 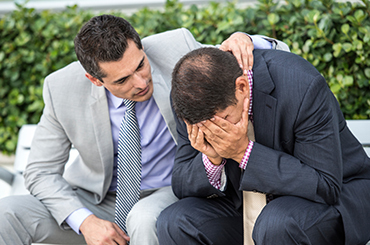 Your friend or family member needs all of the emotional support he can muster, and may greatly appreciate that you've taken the time to educate yourself about the disease process of addiction. When you are angry or upset. When your loved one is under the influence. Approaching the issue with compassion and sensitivity is important. Include family and friends who have a strong relationship with the alcoholic. Plan to exclude those who may not be able to stay objective and calm during the intervention; hysterical family may cause more harm than good. Convey their feelings about the behavior of the loved one struggling with alcohol addiction. Make clear how the consequences of that continued behavior will impact relationships. You must be firm about these consequences, even though that is one of the most challenging aspects of an intervention. Part of the planning process involves determining a treatment option, with transportation available to that treatment option at the time of intervention. If, after all family/friends have presented their feelings and ultimatums, the alcoholic accepts the offer for treatment, follow-up is key. Make sure a devoted family member or friend is involved to increase the chances of the alcoholic staying in treatment and avoiding relapse. Do not stage an intervention angry, and avoiding involving family friends who are unable to stay calm. Make sure your loved one is sober, if possible, and clearly convey the consequences of his or her continued behavior. Make sure treatment is part of your planning. Have transportation available for immediate transfer to treatment. Alcoholism affects the whole family, not just the alcoholic. It is completely normal for family members and friends to feel sad, depressed and overwhelmed while trying to support an addicted loved one. There is help available for family and friends: groups such as Al-Anon or Adult Children of Alcoholics are two options for family and friends, as is individual or group counseling. Remember, as the family member, you are not alone with your feelings and other family members would likely be willing to talk with you about your feelings and stresses. Residential (private, luxury, and executive) treatment. Depending upon the person and their family needs, outpatient treatment that allows the patient to maintain his current job may be the best fit. Meanwhile, someone whose home life contributes greatly to their alcohol addiction may benefit immensely from residential treatment. Residential rehab removes the alcoholic from their home environment with the hope of removing cues for craving and factors that motivate the user to drink alcohol in the first place. Traditionally, abstinence from drinking alcohol is the goal of treatment; however, current studies have suggested that low-risk drinking (what non-alcoholics normally view as "social" drinking) may be an acceptable treatment outcome. Inpatient therapy normally occurs in a hospital setting, and is recommended for alcoholics who have concurrent medical conditions or are expected to have a severe withdrawal syndrome (including delirium tremens and/or seizures) upon stopping alcohol use. Inpatient treatment typically only lasts a few days or up to one week, depending upon the individual conditions. After inpatient therapy (if required), many alcoholics continue treatment in an outpatient setting. Outpatient settings can include behavioral therapies, medication, or group support therapies (or a combination of the three). Behavioral therapies usually involve a psychiatrist or psychologist, and may be focused on changing drinking practices or constructing a strong support system. Medications may help some drinkers reduce cravings to consume alcohol though these medications are not effective for everyone and must be prescribed carefully by a physician. 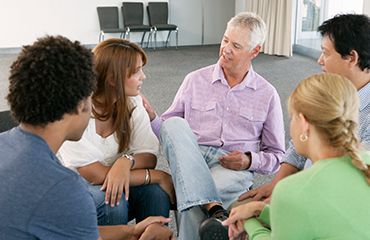 The most common example of a group therapy is Alcoholics Anonymous (AA), which implements a peer leader model to support members in abstaining from or reducing drinking alcohol. Outpatient treatment options are best for alcoholics who must retain their job during treatment, or who have a strong support system at home and do not require a residential setting. 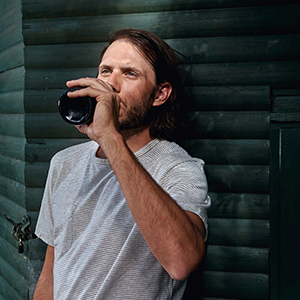 Residential therapy involves an alcoholic moving into a rehabilitation-like facility where he is surrounded by peers fighting some of the same problems. An important distinction between inpatient and residential programs is the typical length of treatment: inpatient is usually thought of as a short-term option, usually only for detoxification and monitoring for concurrent medical conditions. On the other hand, residential treatment is more long-term (normally beginning with 28 days, and extended from there based upon the patient's needs), with housing provided, and daily life outlined by treatment staff. Residential treatment may include behavioral and cognitive therapy, medications, and group support programs as part of the daily schedule. Residential programs may also help with job training and placement after completion of treatment, a benefit that is unique to this treatment type. Find a Meeting Meetings are great resources for those struggling with alcohol addiction to maintain recovery. Find a meeting today. Make sure the program you choose has the appropriate credentials and a good follow-up protocol. It's never too late to reclaim your life. Call 1-888-993-3112Who Answers? for confidential assistance in choosing a treatment option that is a perfect fit.